Any changes in level within any property, commercial or domestic, will invariable mean the introduction of a staircase. Every set of stairs to offer the right level of safety needs a strong handrail for users to grasp. 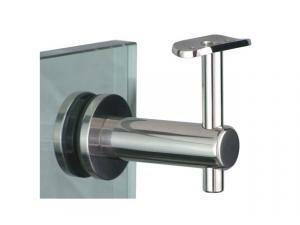 Even though glass staircases are popular and minimalist, there is still a need for a grab rail of some description. In the past, these handrails could look bulky and out of place against the backdrop of the clean lines and minimalist style of glass panels and stairs. With clever engineering, a glass balustrade handrail can offer the strength needed, without compromising on style or the minimalist appeal of glass. 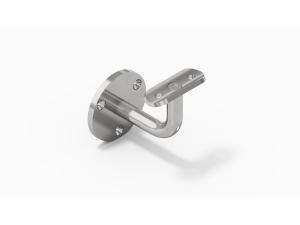 Components and fixings in any project need to be just as stylish and decorative as the main material itself. Stainless steel handrail components are the perfect partner to glass which is why they are increasing in popularity among customers. There are all shapes and sizes of these functional handrail components. From square to rounded, and polished stainless steel, including a bright polish options for some components, there is something that will finish your glass staircase to perfection. If you are looking for a glass balustrade handrail fixings and components, take a browse through our growing range of products. 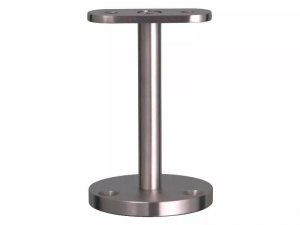 Aesthetically pleasing and stylishly functional, there is something for all designs in our range, form handrail post brackets to handrail saddles. Ordering is easy too – use the online ordering facility – or why not call? Great discounts from 5% to 25% on bulk orders meaning your glass project is far more affordable than you thought.